Digital Directory: Rental Homes on 30E or Cape San Blas, FL. 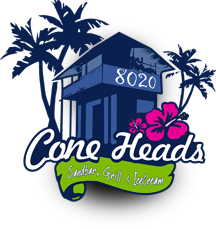 When visiting Cone Heads 8020, it very common for people to inquire about places to stay, how many will the home sleep, does it have a pool, is the home on the beach or on the bay, etc, etc. Thus, here is a simple Digital Directory of the Rental Homes, Cottages, Bed and Breakfasts, etc on 30E or Cape San Blas, FL. This Digital Directory list the various electronic resources, such as Facebook Pages, Websites and Instagram Accounts of the perspective Rental properties. The Directory primarily focuses on Cape San Blas, FL but we also will include rental properties located in Indian Pass, FL and along 30A. Use the Directory to become familiar with the different properties–view the photos, message the owners, ask questions, etc. All of this will help with making the best decision for your next vacation to Cape San Blas, FL. Also, feel free to ask for suggestions by joining the Cape San Blas Beach to Bay Yard Sale, Trade and Tips page. This page is designed to be interactive and for people to communicate with each other concerning helpful tips, questions or concerns they have before or while visiting Cape San Blas, FL. Please, if you have a rental located on Cape San Blas, FL, Indian Pass, FL or along 30A with a Facebook page, Website or Instagram page and we did not list your property–message us so that we can include it on the list. We hope this helps with the search for great places to stay on Cape San Blas, Indian Pass and along 30A. Looking for Activities to do while visiting Cape San Blas, FL? Visit our Digital Directory: Charter Captains, Horseback Riding, Kayak Rentals and More while visiting Cape San Blas, FL or 30E. FWC biologists would like your help in their scallop restoration efforts. Local History: “The Lost City”—Port St. Joe, FL. 8020 Cape San Blas Rd. Reopened after Hurricane Michael on April 2nd, 2019. We will extend our hours in the future. Get ConeHeads Restaurant news, deals & updates in your inbox. © 2019 Cone Heads, All Rights Reserved.